I ventured over to Lake Calhoun last night, this time without my fishing boat. I was there to take engagement photos of a wonderful Christian couple, Sean and Julia, who have hired me to shoot their wedding. They met at Lake Calhoun, so it was a natural place to take the photos. A day earlier, weather forecasters were predicting rain, but the evening was dry and sunny. We went to the west side of the lake and found some really neats spots for photos. Then, at the end, we decided to go to the lakeshore and get a few pictures with the water in the background. As I positioned them on the grass, I noticed a beautiful white cloud in the sky behind them. And, it was lit up nicely by the setting sun. As I spent several minutes shooting, some nice color appeared in the sky and was reflected in the water. It was about perfect. I snapped some photos in the waning moments of this beautiful light and ended up with the type of dramatic photos I would not have predicted. God is so good to have given me this gift. And, Sean and Julia recognized this blessing as well. I would have really liked to have watched this sunset with them and then had a conversation with them about God. Not sure I would have persuaded them to believe in Him, but I sure could have made a compelling case. No matter. I am content to experience the joy of this special gift from the Lord. I’m sure scenes just like this must have inspired the words of the psalmist. 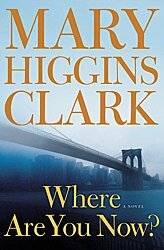 With more than 30 titles under her belt, Mary Higgins Clark knows how to write a mystery. In “Where Are You Now?” she pulls out the expected array of clues and characters. The story-line starts 10 years after a college senior disappears. Once again on this Mother’s Day he calls home. His attorney sister decides to try to locate him, but the police detectives she turns to quickly make a connection: the brother may be their best suspect in a murder and the disappearance of three young women in the same New York neighborhood. All the good mystery pieces are there: the passionate protagonist, the love interest that may or may not be true, the greedy landlord, the nervous apartment caretakers, the demented perpetrator, the likable victims, the suspicious chauffeur, the pain of post-abortion trauma. A major American novelist works the pain of post-abortion trauma into a book that a major publisher — Simon & Schuster — prints and promotes? Okay, I’ll be clear: “Where Are You Now?” is not a mystery about abortion. It’s just that the way abortion usually is found in mainstream publishing is that it is extremely one-sided, treating the taking of the life of the in utero baby either casually and matter-of-factly or sympathetically toward the pregnant woman with no regard whatsoever for the other living being in the picture. Author Mary Higgins Clark has found a way to live her Catholic faith in the marketplace in which she is one of the high-ranking celebrities. If you’ve never been to the Holy Land or other places mentioned in the Bible, this is the book to take you there in absentia. If you’ve been to any of those ancient sites, this Oxford University Press large-format paperback is the book to rekindle memories. It was nearly 50 years ago that the Oxford Bible Atlas first appeared in print, and this fourth edition blossoms like none of its predecessors thanks to color photography throughout. As you might imagine, satellite photos of the Dead Sea, the River Jordan, and that portion of Earth from Egypt to the Arabian Penisula weren’t in that first edition in 1962. As Adrian Curtis explains, the primary aim of the atlas is to provide the reader with an awareness of the world in which the biblical stories are set. Aerial photographs do what one’s imagination never can to show what the hills of Galilee, the road from Jerusalem to Jericho and the City of Jerusalem are really like. While many of us are accustomed to looking at an atlas for directions, the Oxford Bible Atlas does so much more, offering not just geography and history but archaeology and geology, too. There is as much text and photography as there are maps. We don’t just see where Babylon is on the map, for example, but we learn how the exile of the Jews there came about. Curtis, a Methodist lay preacher, is an excellent teacher with a background as a lecturer on the Hebrew Bible for 40 years at the University of Manchester in Great Britain. You can very easily sit down with the atlas and read it as any other work of nonfiction, chapter by chapter. It would be great for Bible study, small group, faith sharing or adult faith formation purposes, reading a chapter a week. Most chapters are just a few pages, with full-page maps included, and they tend to read chronologically. Where did the Ephesians live? While many are likely to have a fairly good idea where Damascus is (in Syria, north and east of Israel), how many times have those of us in the pews heard the lector proclaim names of biblical places such as “Cappadocia” or “Ephesus” (Paul’s epistle to the Ephesians!) and not had a clue that both are part of modern-day Turkey? A couple of the later chapters offer a real education in archaeology, including a two-page spread on ancient writing systems. I enjoyed reading and finding my way along on the maps, but I could see where others might enjoy and learn about biblical lands just by looking at the many photos and reading the captions. That alone is an education. Characters you find yourself cheering for get involved in the chaos of an Eastern European country as its Communist government falls. That’s the storyline behind this well-written novel with flashes of — even a foundation in — real-life history. There’s global politics, too, and international intrigue as people on a list start dying. 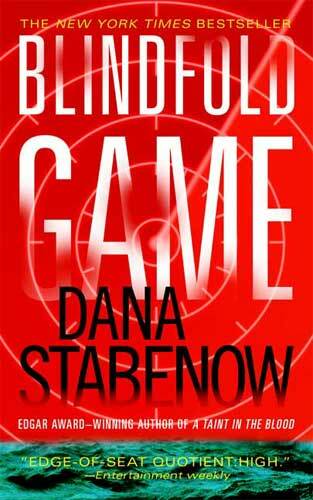 Emil Brod, the chief of detectives just days away from retirement, and detective/spy Garva Noukas search for answers. Olen Steinhauer makes you care about what happens to these two, and that’s key to any good novel. 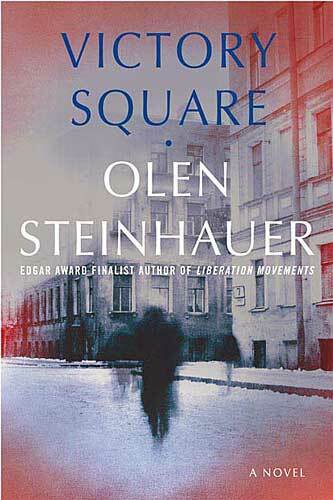 The plus is that “Victory Square” is as much literature as it is mystery. What’s unique in a mystery, too, is that it offers an other-than-American point of view of the global politics of that time when the Soviet empire was crumbling, and seeing historical events through others’ eyes can bring clearer vision to readers.